Homelessness agencies including St Mungos are identified as complicit in immigration raids and a process that results in some of London’s most vulnerable people “disappearing into a nightmare of indefinite detention and deportation”, The Corporate Watch website reports today. Unite members who work on the front line of homelessness believe that outreach services provide essential support for rough sleepers and that it is crucially important that a relationship of trust between outreach workers and clients is maintained. Outreach workers must not be converted in to immigration enforcement workers. Through Unite, workers have expressed concern that in recent years homelessness agencies have become increasingly compliant agencies of government policy, sometimes failing to speak out on behalf of homeless people and in opposition to policies which are driving the rise in rough sleeping and other forms of homelessness. Not only is the funding of services for rough sleepers inadequate but the method of funding can serve to undermine responsive high quality work by introducing perverse incentives and financial pressure. Mayor Boris Johnson introduced ‘payment by results’ as a system of funding services for rough sleepers. The bitter experience of the A4e rip off shows this way of paying for services can completely undermine public services. In 2012 we quoted a worker who posed the question "... let me be clear, me and my team are regularly threatened, abused and assaulted by disturbed and desperate clients. How do you think they will respond when they believe we are on commission?" We think that the current London Mayor, Sadiq Kahn, should end this grotesque ideological gimmick. Corporate Watch cite “payment by numbers” schemes, where fees depend on the number of rough sleepers they get out of the country, as a cause for concern. Unite absolutely agrees that life on the streets is harmful and we should do all we can to help individuals find routes out of rough sleeping. But it is vital to this work that homelessness agencies do not undermine outreach work through any blurring of the line between their outreach staff and enforcement agencies or through breaches of confidentiality. In May last year, the Home Office toughened the rules so that European rough sleepers can be arrested for deportation if found sleeping rough on just one night, which tends to force homeless people to hide from agencies. The Unite housing branch calls for an end to this ‘hostile environment’ policy and we call on Mayor Kahn and homelessness agencies to join us in making that call. Rough sleeping is rising because of the impact of brutal austerity policies and it is quite clear that further benefit changes threaten further rises. 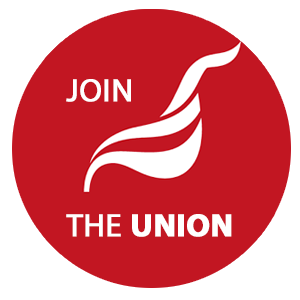 Any Unite members who believe they are being coerced to breach the public commitment by employers in the sector not to pass personal information on to other agencies without permission should contact their Unite rep.